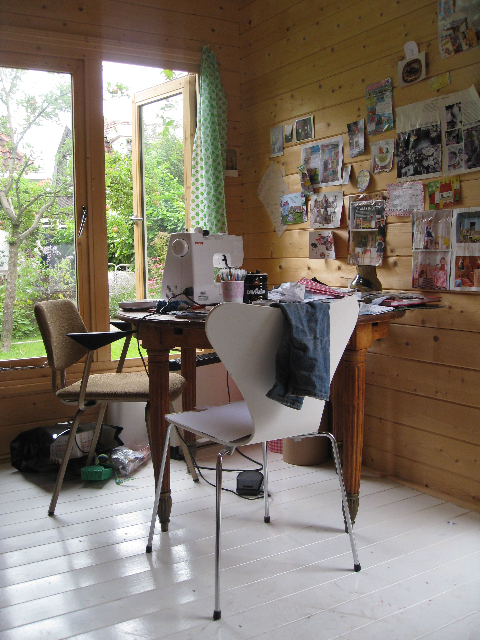 In a garden studio in the Northern part of the Dutch Capitol Amsterdam, Dutch designer Dieuwertje van de Moosdijk finds inspiration for her art. The word designer might not be covering her metier completely. Dieuwertje could easily be considered a stylist, illustrator, decorator and creator as her work fits so many purposes it´s hard to stick a label on it. Oh, and she writes too! The outside world nature in particular, but urban scenes too, inspire her the most. Clouds, sheep, flowers, fields; they are often part of her work. 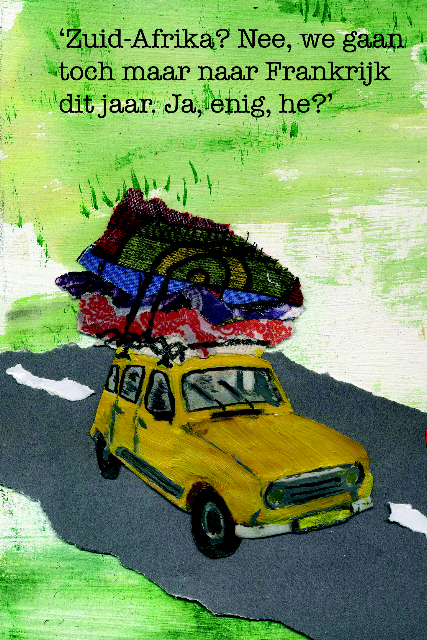 Yet occasionally a small French car, an interior or even a caravan play a cameo in the images. And every item is hand-made. Candy wrappers, wallpaper samples, bits of fabric, photographs, drawings and even bits of her mother’s wedding dress find their ways to the collages. “I like to see the ruggedness in my products. All my work is done by hand rather than by computer. Long live scissors and the glue gun!”. Her work finds it’s way as illustrations in magazines, books or the web, or by mail to notify lucky recipients of births, weddings and parties. 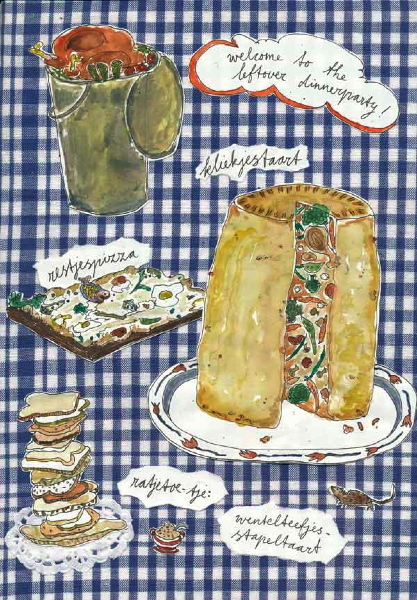 Dieuwertje is currently working on a series of recipe cards and on a illustrations for the guide ‘What (not) to eat by @talkinfood. 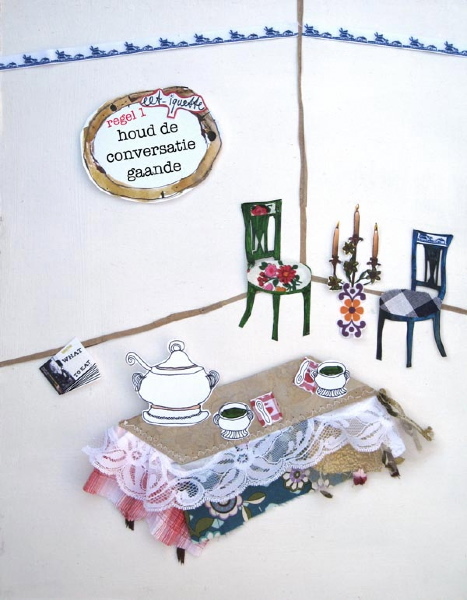 This entry was posted in Design, designers and online finds, See how others live and tagged Amsterdam, collages, dieuwertjemaakt.nl, fabrics, garden studio, glue gun, illustrations. Bookmark the permalink. That is so sweet! Does she sell those collages, or make them to order? They would make a great birthday card. Also nice to put on the wall.